KoreKontrol - hosting, consulting, engineering. By experts. so you can focus on expanding core of your business. Revolutionising the industries and business growth, cloud solutions let you do your thing without owning. Building with this approach, we help you revolutionise and grow sustainably for next generations. 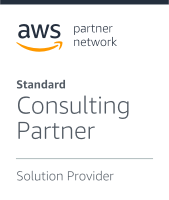 We partner with the world-leading cloud infrastructure providers, so you get best possible solutions from: Amazon AWS, Google Cloud, Microsoft Azure, Rackspace, HashiCorp, Cisco Systems. Our expertise is based on many years of experience, working within different sectors. Today, we bridge technology and business, providing you with highly specified, robust cloud solutions. Our technology is always double checked. That said, to maximise your safety we prepare a fallback option, also in case of an issue you can await your answer from us in shortest time possible. Cloud-native managed eCommerce hosting platform for Spryker and Shopware. Independent, professional advice to create and optimize your strategy and operations in Cloud. Design, analysis and and troubleshoot IT on system and application level, for smooth operations. We are proud to have work with some of the best game-changers and established companies. See what we’ve been working on and how we continuously improve our technology stack.